The MSc Big Data Analytics course will provide you with an insight into areas of data mining, big data management, and advanced statistics. You will develop in-depth practical skills through using tools and techniques from the forefront of the emerging field of data analytics. You will use these to effectively model complex organisational requirements and propose suitable solutions. The demand for big data analysis and management is continually increasing in business and computer science. For companies it can provide valuable insights, and results such as increased market share, profitability, possible cost savings and procedural efficiency. This course will equip you with the necessary skills to exploit big data tools and methods in order to drive innovation and growth in modern global organisations and society. The learning activities on this Masters in Data Analytics degree are designed to encourage and facilitate your ability to gain employment and sustain a professional career in data analytics - by building your confidence and skills through hands-on experience and structured feedback. The course combines formal lectures and tutor-led workshops with independent study. You will develop key analytical and problem-solving skills, and will gain an aptitude for research, academic writing, and time management. Technology enhanced learning will be used through the provision of online resources and discussion forums. Teaching will be conducted in a work-related context: you will work collaboratively with tutors, researchers, and businesses to prepare you for employment. 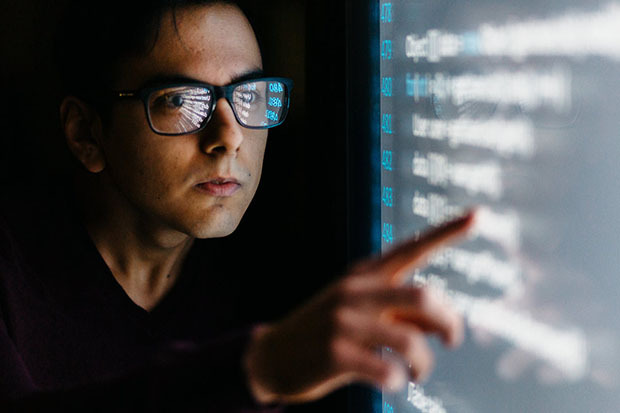 Potential careers for Big Data Analytics graduates include roles in data science, data warehousing, consultancy, data security and data administration. We provide research-led, practice-driven teaching underpinned by our versatile research projects and strong industry links. You will have the chance to participate in our student engagement initiatives (OpportUNIty), which will enable you to work collaboratively with the University to enhance your student experience. Our academic staff have extensive professional experience and are engaged with both the government and industry in helping to solve complex problems. We have excellent industry partnerships. Our previous students have gained work experience and graduate roles at companies such as: Hewlett-Packard, BT, Capgemini, Cisco, IBM and more. We are committed to enhancing our graduates’ employability through continuing professional development, and learning in a global environment. We have an established data analytics group that can supervise PhD projects. Come along to our preview evening where you can have a coffee with our academics and current students, ask any questions and find out more about studying with us. If you’ve got any questions about the course, we’d love to hear from you. Please email the Course Director: Jagdev Bhogal. Applicants are expected to have obtained an Honours degree in a technology-related subject, with at least a 2:2 (Second Class) classification. Students with a business or management degree will be considered, if there has been a substantial element of computing within the degree programme. Students who do not hold the standard entry requirements may be considered for admission provided they can demonstrate that their qualifications and/or industrial experience are equivalent. International applicants are required to have IELTS overall band of 6.0 or equivalent. 2:2 or higher Honours degree or equivalent in a relevant subject. As technological advances accelerate development and revolutionise the shape of our future, businesses and individuals compete ever so vigorously to maximise their efficiency. The competition involves cutting costs and making data-informed decisions. Also, the nature of data itself is evolving with the arrival of new technologies such as the Internet of Things (IoT). In fact, at its extreme, even the entire working or living environment can be treated as data: natural evolution is a well-established scientific theory that supports such a notion. Information from data is required by many organisations and this module focuses on the application of statistical techniques to data sets primary using statistical and data analytics software. Hence a mixed learning and teaching approach is proposed that consists of both computer lab work with applying theory in practice through the use of specialist software and interactive taught sessions in a seminar room where you can work together putting theory into organisational context. The module will provide you with theoretical and practical knowledge and skills in building a database system for an enterprise. As part of this module you will learn and critically reflect on the cycle of database systems development from understanding the needs of the enterprise through to design and development of database systems using industry based case studies and techniques. This module focuses on aspects of managing big data systems with respect to the five V’s (Volume, Velocity, Variety, Veracity, and Valence); i.e. systems that provide operational capabilities for realtime, interactive workloads where data is primarily captured and stored to support any analytical capabilities. Big Data has driven the creation of new technology architectures with the likes of NoSQL, MPP databases and Hadoop that enable new types of products and services. Operational systems, such as the NoSQL databases, focus on servicing highly concurrent requests while exhibiting low latency for responses operating on highly selective access criteria. Data mining is the non-trivial process of finding patterns and building models from data stored in data repositories such as databases and data warehouses. At the heart of Big Data Analytics and business intelligence, data mining algorithms provide readily available solutions to many Big Data problems. Data mining is an established field that provides both predictive and descriptive analytics solutions. Such solutions are often generic and can be applied to a wide range of applications from business to scientific and governmental applications. In this module, you will be taught the internal mechanisms of developing descriptive and predictive data mining methods. Also you will be taught how to use modern data mining tools to build and numerically validate models and patterns extracted from data. You also will be able to critically evaluate current trends in data mining. The exponential growth of social media has transformed the social, political, and technological landscapes. An increasing amount of data is generated from today’s social sites such as Twitter, Facebook, and YouTube. People use social media to publish rich content, annotate it with descriptive metadata, communicate and respond to each other. Data analytics is a powerful tool to identify trends and patterns in social media and explore how social media have been used in times of disasters, crisis or during important events such as political campaigns. This course is multidiscipline that combines social network analysis (SNA), natural language processing, and data analytics for mining social data. We aim in this course to understand an end-to-end process of social media analytics starting form data collection to extracting insights and deriving conclusions. The MSc programme is normally studied over one year full-time or two years part-time (one year and one term full-time for January start). You may move between full and part-time modes of attendance. The course is divided into taught modules of 20 credits and a Masters project of 60 credits. Students complete 60 credits for Postgraduate Certificate, 120 credits for Postgraduate Diploma and 180 credits for the full MSc. Each credit represents 10 notional hours of student learning and assessment. The structure of the course, the module, levels and credit ratings and the awards that can be gained are shown below. A range of assessment methods are employed, assessment criteria being published in each assignment brief. Knowledge and skills are assessed, formatively and summatively, by a number of methods: coursework, examinations (seen and unseen, open and closed-book), presentations, practical assignments, vivas, online forums, podcasts and project work. The University can offer postgraduate research (MPhil and PhD) programmes. Details can be found on the postgraduate section of the website. This course is suitable for undergraduates and those who have worked in the industry but do not have the recognised qualifications. The school boasts graduates who have gone on to work for Hewlett Packard, Bell Micro, Birmingham City Council, BT, Cap Gemini, Cisco, Deloitte, Ericsson, Fujitsu, IBM, Intel Corporation, NHS, Motorola, National Express, NEC, Royal Mail, Shell IT, JP Morgan Chase and Co, Carillion plc, Siemens and Nokia and many more. The School has exceptionally strong links with industry. Collaboration with industry is at the heart of our teaching, enabling us to keep our courses relevant and up-to-date and putting you in prime position for industrial placements, chances to contribute to real-life projects and career opportunities. You will be taught by experienced academic staff, many of whom have worked in industry for a considerable number of years and bring with them a wealth of IT skills and knowledge.